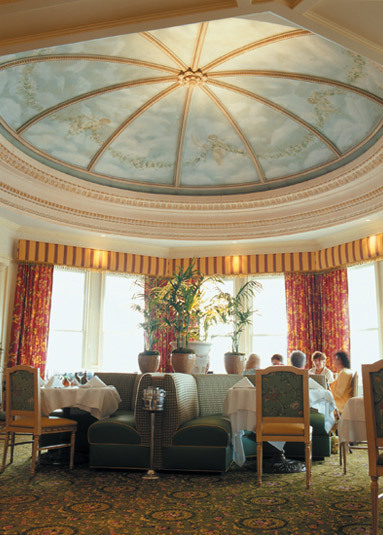 The historic Wentworth Hotel reopened on May 14, 2003 after 20 years of neglect and deterioration. Proudly sited on the island of New Castle, NH, and offering panoramic 360 degree views, this remarkable structure was built in 1874. 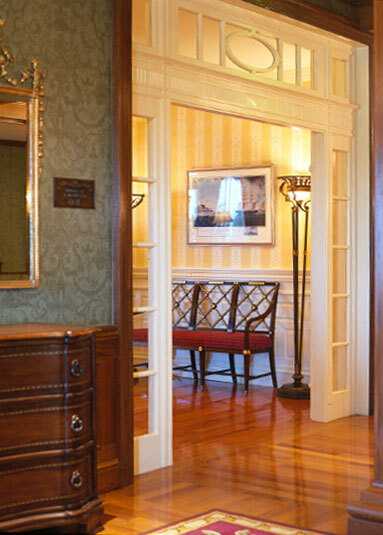 After the first owners went bankrupt, Portsmouth beer magnate, Frank Jones, purchased the hotel in 1879. 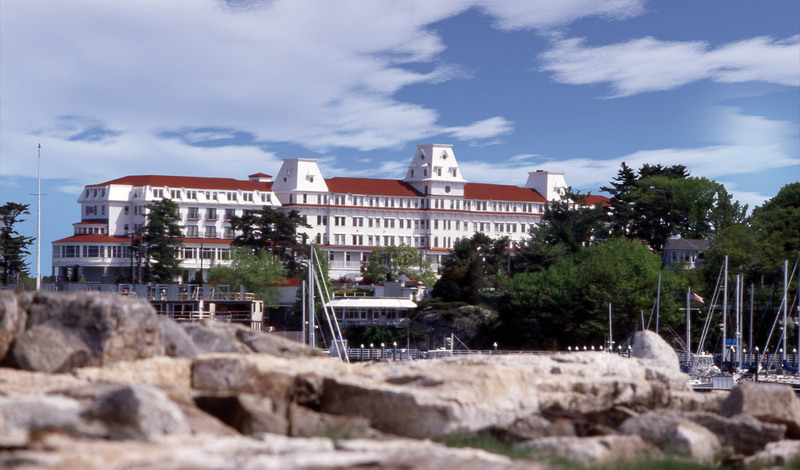 Over a period of 20 years, he quadrupled the size of the hotel until it stretched 800 feet along a high bluff. The Wentworth flourished in the early half of the 20th century. It was catapulted onto the national scene in 1905 when it hosted the delegates who were negotiating the Treaty of Portsmouth, an agreement which ended the Russo-Japanese War. By the late 1970’s, the hotel had fallen on difficult times. 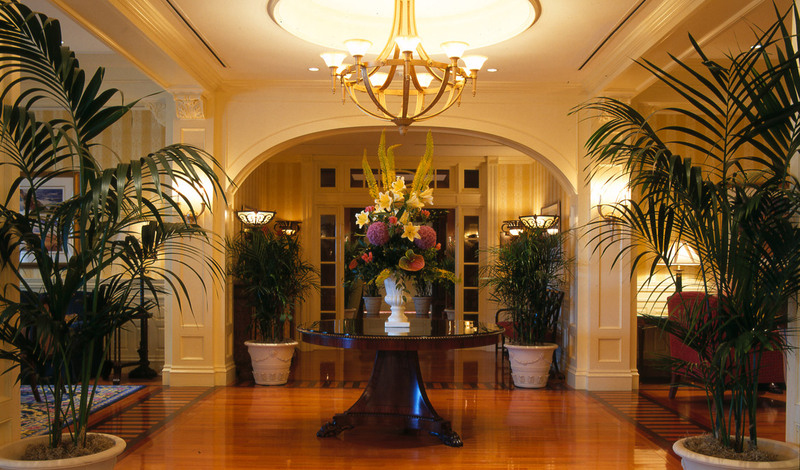 The owners were faced with very high maintenance costs, while the number of guests were dwindling. They sold the hotel in 1980 to a Swiss corporation who, after one season, closed the Wentworth. The hotel remained vacant for the next 20 years while pieces of the property were sold off for homes. Passing through a succession of owners who threatened to demolish the historic structure, a group of New Castle residents calling themselves “Friends of the Wentworth” mobilized to save the grand hotel. 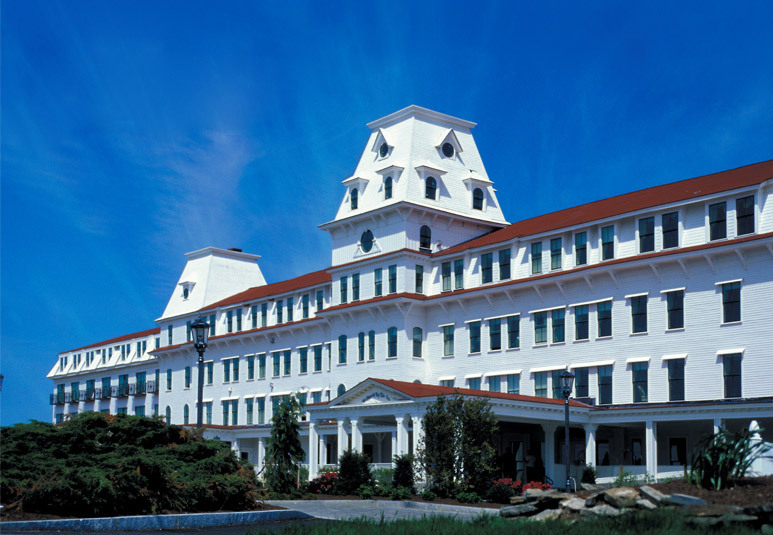 Through their efforts and those of Ocean Properties, a Portsmouth based hotel company who purchased the property in 1999, construction began in the spring of 2001. 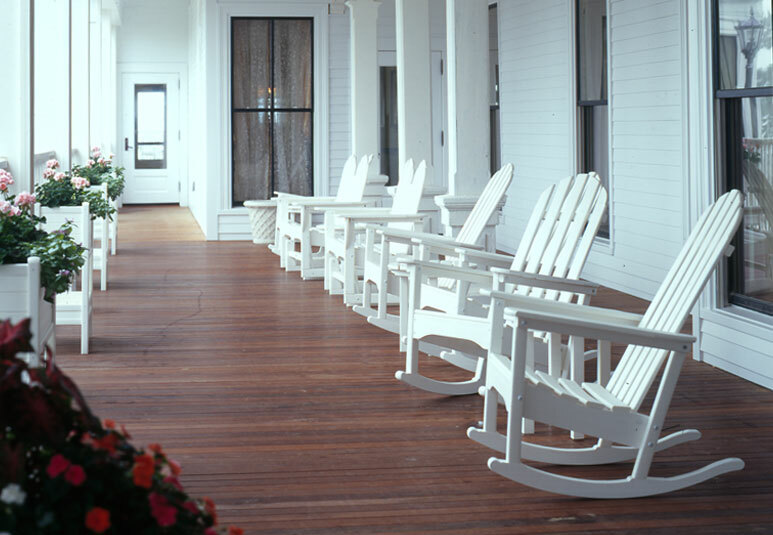 The architects were given a mandate by the owners to recreate the hotel’s past glory while facing the challenge of modernizing the interior and maintaining the character of the existing structure. Working with only a shell of the original building and the three distinctive turret towers, the architects restored the original foundation, reinforced the precarious wooden structure with a steel skeleton and added two new steel frame wings to each side of the existing structure.